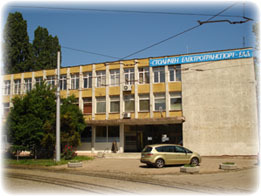 Address: Sofia, 149 Nikola Mushanov bul. Address: Sofia, 193 Maria Luiza bul. Address: Sofia, Station Iskar, 5 "5003" str. Address: Sofia, 7 Bezimenna str. Address: Sofia 1618, 126A Tsar Boris III bul. Address: 1202 Sofia, 16 Kozlodui str.